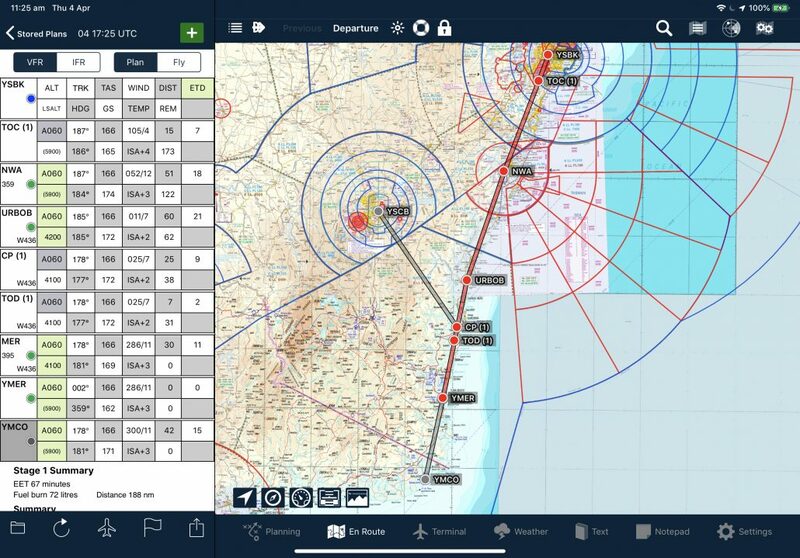 We’re excited to announce that AvPlan EFB 7.8 is now available in the Apple app store. In this release we finalise complete support for the CASA fuel changes in CAAP 234-1(2). AvPlan EFB now has the ability to automatically perform all required fuel calculations, including to alternates and enroute alternates (including multiple critical points). Flight plan legs to your alternate are now depicted in grey on the map as well. The new critical point calculations and enroute alternates are available to all Pro subscribers. We have also added support for multiple critical points (based on one normal and two abnormal situations) and you also now have the ability to have these points (plus top of climb and top of descent) in the flight plan as waypoints. Tap Settings, User Settings, Auto Waypoints In Plan to have these new waypoints added to your flight plan automatically. Learn all about enroute alternates and critical points in our updated user manual. We have added two new columns to the flight plan printout, for planned and actual fuel on board for each waypoint (including critical points etc). You now have the option to disable syncing your user content (notes, chart and plate annotations, read state of NOTAMs etc) across your devices. If you are using multiple devices for multiple people using a single login (which is an option for our enterprise customers) you can turn off this setting. Look for it under Settings, User Settings. Lots of power improvements. The app will now shut off the GPS after being stationary in the background for 10 minutes. Fuel and time for your destination alternate now includes climb (from the destination), cruise and descent to the final alternate. Lots of Stratus and Synthetic Vision fixes.